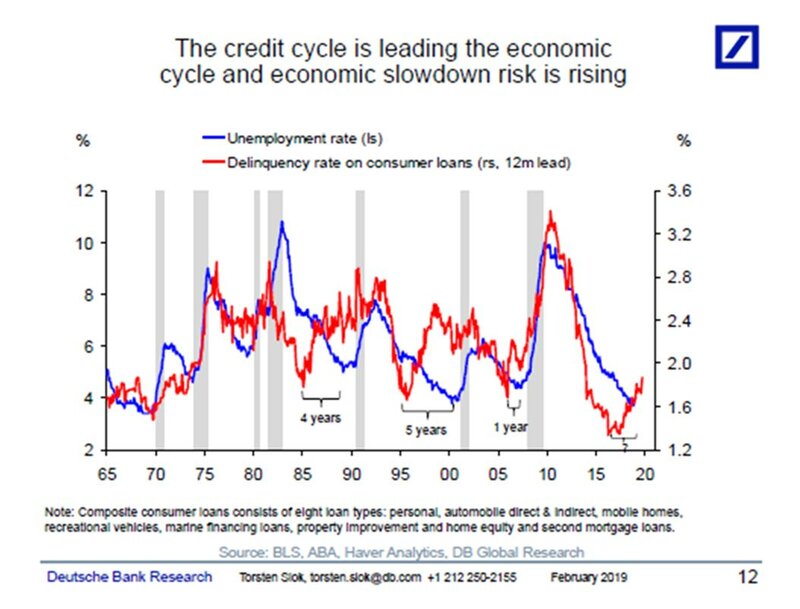 The credit cycle is not going to change because central banks keep rates low. 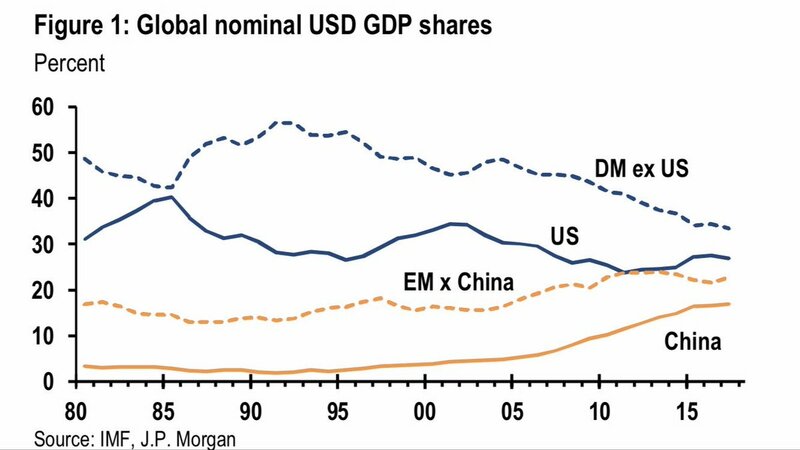 Households and corporates see the real risk in the economy. Dramatic rally in U.S. high-yield bonds so far this year has reduced the debt’s risk-reward proposition with stocks. 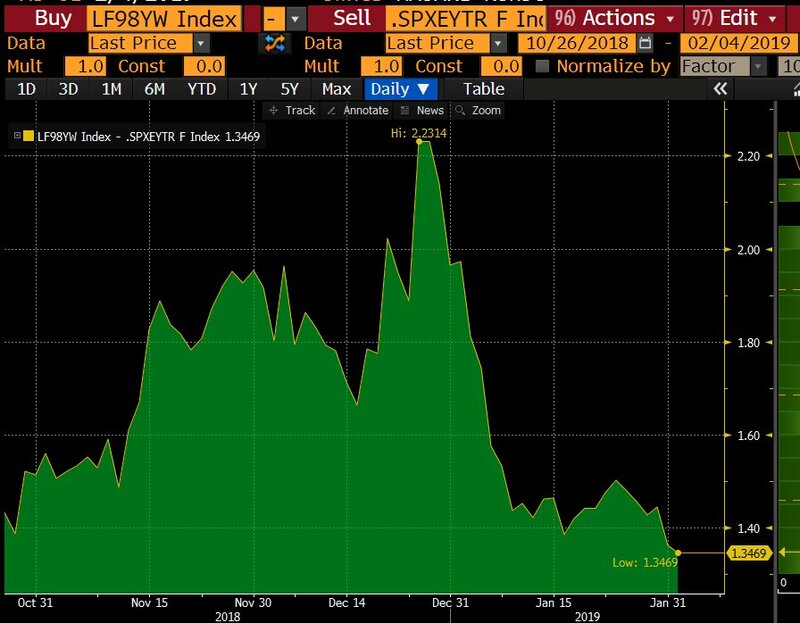 Investors are earning the least extra yield to own junk bonds versus the earnings yield on the S&P 500 since October. 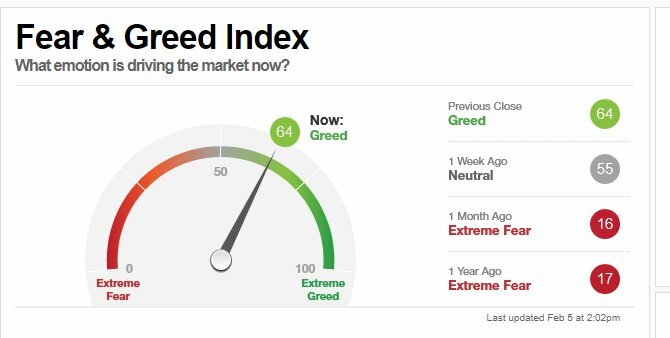 Fear and Greed. The interesting part is where it was 1 month ago and 1 yrs ago.